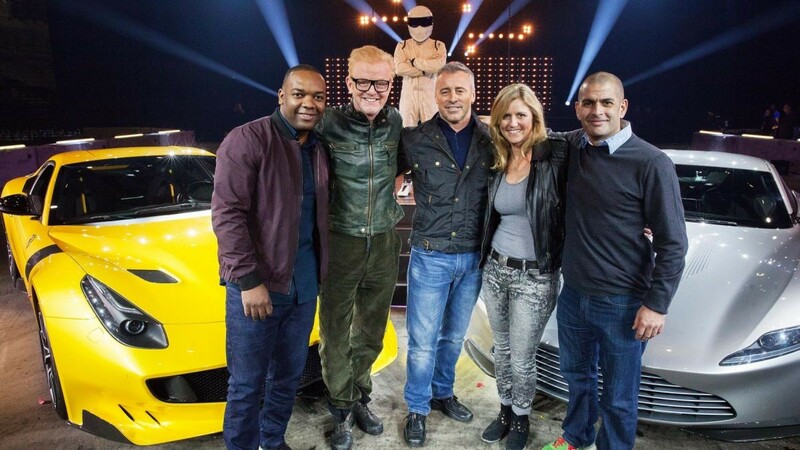 BBC Worldwide held a ‘showcase’ event in Liverpool today and their all new flagship motoring programme, Top Gear, complete with new faces (minus Eddie Jordan) were on stage to do a live show. Time to get used to these new faces. There was definitely some quality talent, in the form of a Porsche 918, a Lamborghini Aventador SV, McLaren P1, Mercedes-AMG GT S, Ferrari F12tdf, Audi R8 V10 Plus, BMW i8 and the Spectre Bond car, Aston Martin DB10s. Chris Harris seemed in his element chatting with co-star Matt Leblanc. He can’t believe it, and neither can we. It’s still anyone’s guess on how the new Top Gear team will gel, when they return to BBC2 later in the year. It is great to see them out doing a live event and whilst this may not be re-inventing the Top Gear wheel as such, it has to be a sign of good things to come. Its a joke. BBCs lame attempt to diversify. They have a Ginger, a women, a pakistan, a black guy, a OAP & an American (Merica fk ya!) COMPLETELY RUINED.